The 144,000 square feet, $84.5 million building offers 43,000 square feet for 40 modern and highly flexible physics laboratories plus laboratory support space, suitable for large-scale physics experiments. In addition, more than 15,000 square feet has been added for nanotechnology research to the Minnesota Nanotechnology Center. With the new space, the Minnesota Nanotechnology Center will expand its facilities for nanotechnology applications in biology, medicine, and advanced materials. The new building will accommodate more than 200 faculty, graduate students, post-doctorate researchers, and visiting researchers in the School of Physics and Astronomy and the Minnesota Nano Center. 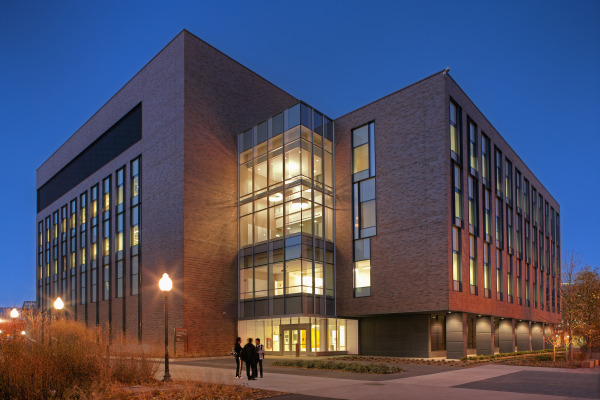 Over 100 researchers from dozens of departments in several colleges throughout the University of Minnesota will also share the nanotechnology facilities in this building. The new expansion in research facility will significantly strengthen the University of Minnesota Twin Cities’ leadership in the investigation of diseases and innovation of new medical products worldwide. The University of Minnesota ranks ninth in the world as a public research institution, generating ideas that spawn new companies to commercialize these inventions. With 19 Fortune 500 public companies in neighborhood, the Twin Cities is home to one of the most dense medical supply clusters on the planet. The University of Minnesota Twin Cities received more than $1 billion in research dollars in 2014. With over another billion from private industry, the commitment to research in the Twin Cities is strong, positioning the university to retain its leadership in the 21st century. Laboratory supply companies cannot afford to miss a networking opportunity to this well-funded marketplace. 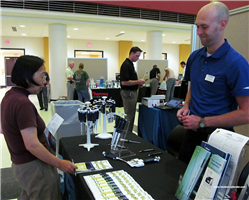 Biotechnology Calendar, Inc. is providing an access for laboratory supply companies to demonstrate their newest products and services to Minnesota researchers at the annual Universtiy of Minnesota Twin Cities BioResearch Product Faire™ Event on May 20th 2014. Last year, the BioResearch Product Faire™ Event at the University of Minnesota at Twin Cities drew 372 attendees who came from 33 different research buildings and 52 on-campus departments. Of these attendees, more than 27% were researchers, professors and purchasing agents in addition of 14% were lab managers. If you are a laboratory supply company and would like to know more information about the BioResearch Product Faire™ Event at the University of Minnesota, Twin Cities on May 20th 2014, please click the button below. 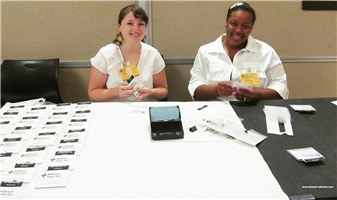 There are more events available at different institutions throughout the nation, please read the National Show Schedule for 2014 to plan your participation in the next BioResearch Product Faire™ Event.